On Life and Living in the Mountains and the Valleys - a collection of essays about the land, the flora, the fauna and the people, including Dan Berggren's memoir of Adirondack fiddler Cecil Butler, "Music of the Mountains." The Adirondacks have been written about since they were first spied by Europeans more than five hundred years ago. Yet for most of the intervening centuries, few of those writers lived in the region of which they wrote--they were not part of the landscape. That has changed in recent years as writers have moved to the Adirondacks and formed a literary community. Perhaps inspired by these writers, longtime residents have discovered that they, too, could be part of such a community. From scratching out a living in the harsh landscape to the wonders of a moonlit cross-country ski, these writers celebrate life in the Adirondacks. 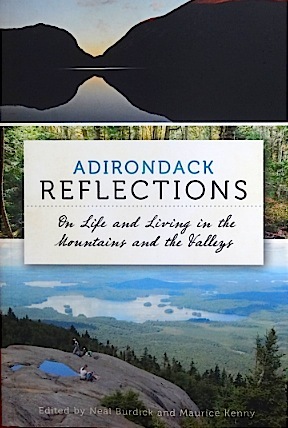 In this remarkable collection of essays, the experiences of Adirondack natives are interwoven with the land in a part of America that is both demanding and rewarding.